We planted artichokes last year, and we were very pleased with how well they did. The plants grew large and we even got a few chokes the first year. This spring they came back with an amazing vigor, and we started harvesting small chokes in May. 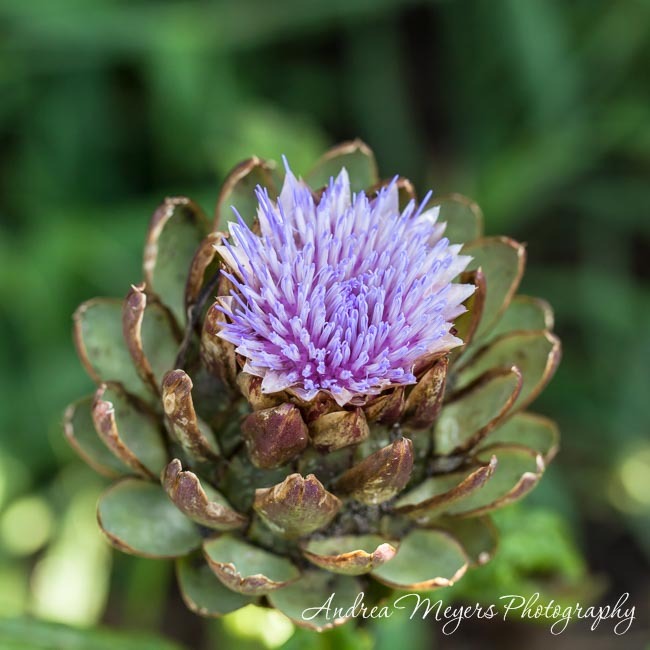 As the summer has worn on and the temperatures hang around in the high 90s and into three digits, the plants have struggled somewhat, but the chokes hang on and for the first time we have artichoke blossoms. They are so pretty and unusual looking, it’s worth it to let some of the chokes stay on the plant just to see those purple feathery flowers. Wow! I’ve never seen them before. How pretty! Thanks Grace! It was such a wonderful surprise to see the blooms this year.